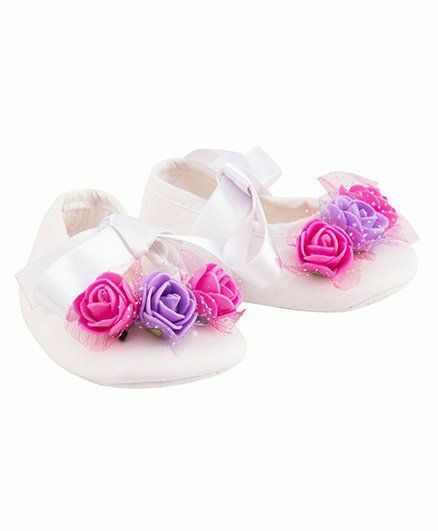 Offering the best of style and comfort, this pair of shoes from Daizy will accentuate the overall look of your little one. Fashioned using excellent quality fabric, these shoes are lightweight and skin friendly. Soft, classy and elegant . Go for it !!! So cute..... ?? Comfrtble fo my little one ! !